Recent trials carried out in the Caribbean and Mediterranean Sea have demonstrated the unique, high connectivity throughput capabilities of Marlink’s new dynamic Sealink VSAT High Speed Zones. Livewire Connections and e3 Systems, Marlink’s Service Provider Partners in the superyacht segment, have thoroughly tested the new service’s capabilities to increase the use of bandwidth intensive applications on board, including video streaming and multiple high-speed wireless connections for owner, guests and crew. With fast-response dynamic bandwidth increases up to 15 Mbps on standard equipment, and over 100Mbps using customised configurations available, new Sealink VSAT High Speed Zones provide the fastest available Internet access for temporary usage. The bandwidth increase was well received by the Captains of Motor Yachts NARVALO, DOMANI and GO, all of which experienced significant boosts to the bandwidth available on board. Internet access is integral to the effective management of a superyacht. The ability to request bandwidth on demand and have it activated within hours enables Captains to meet the increasing and flexible connectivity requirements of a vessel, in addition to satisfy the entertainment and business needs of owners and guests, while also ensuring crew access for browsing and social media. According to Captain Tom Alderman, Motor Yacht NARVALO, modern superyachts are highly dependent on connectivity to ensure smooth and efficient management. 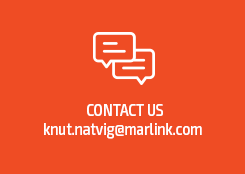 NARVALO’s Marlink Sealink VSAT connectivity service enables a wide range of applications used daily by Captain and crew, including weather forecasting, contact with management and agencies, connection to the yacht’s management online pages and cloud-based planned maintenance system, and access to cloud storage solutions including Dropbox and Google Drive. “The Internet is used in many areas of the working day, so much of the yacht’s productivity requires a stable internet connection. In fact, Internet connection is so important these days that it’s almost a disaster if it fails,” said Captain Alderman. Balancing bandwidth between operational uses and owner, guest and crew connectivity is made much easier with the throughput enabled by Marlink’s High Speed Zones. When a yacht is in a Caribbean or Mediterranean High Speed Zone, which cover all major seasonal destinations, extra bandwidth can be ordered and will be available within hours of request. This means that Captains have the flexibility to secure more bandwidth at short notice when owners and guests come aboard, while enjoying the cost benefits of standard throughput at other times. With such high throughput, the new High Speed Zones enable a wide range of new applications, including the use of streaming services such as Netflix and Apple TV, whilst ensuring fast Internet connectivity for all guests on board at the same time. Designed for the high-end requirements of the superyacht sector, the new service provides flexibility for upgrades to meet higher bandwidth demand during peak yachting periods. While crew communication and operational needs are met by Marlink’s standard global Sealink VSAT (Very Small Aperture Terminal) services, the ability to massively increase connectivity speeds for a period of a week or more ensures the work and entertainment needs for bandwidth hungry applications are available on board in a similar way as on shore.